It's CBC's annual battle of the books! Five prominent Canadians gather around a table. Each one champions the book they believe is the one book all of Canada should read. Each day, one book is eliminated. The last book on the table wins. This is Canada Reads. 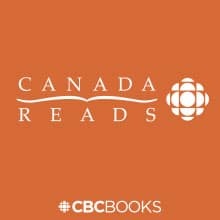 Canada Reads host Ali Hassan is joined on-stage by Cherie Dimaline (author of The Marrow Thieves), Sharon Bala (author of The Boat People) and Omar El Akkad (author of American War), whose novels were debated on CBC's battle of the books in 2018. Together, they discuss what it was like to see their books go head-to-head on a national platform and tackle some of the big issues that arose during the debates. This panel discussion was taped in front of a live audience at the Festival of Literary Diversity in Brampton, Ont.